1. 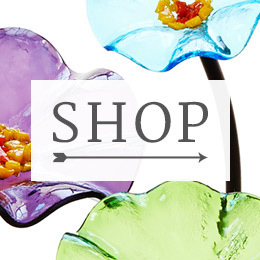 A bouquet that never fades. 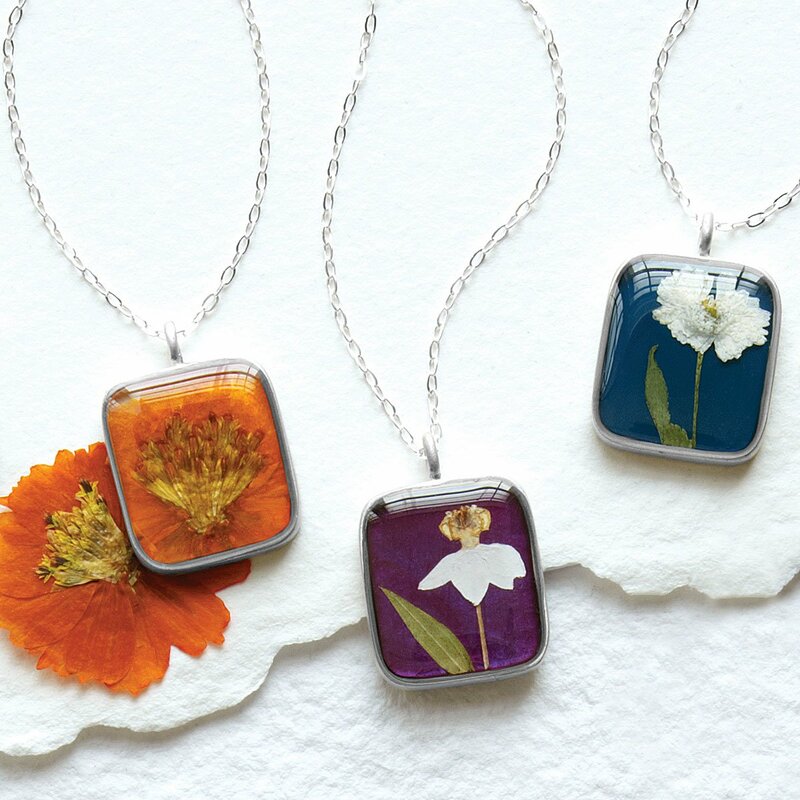 A pretty dried flower pendant for your love, symbolizing the month she was born. 2. A necklace that links memories, hopes, and right now. She’s a doer. 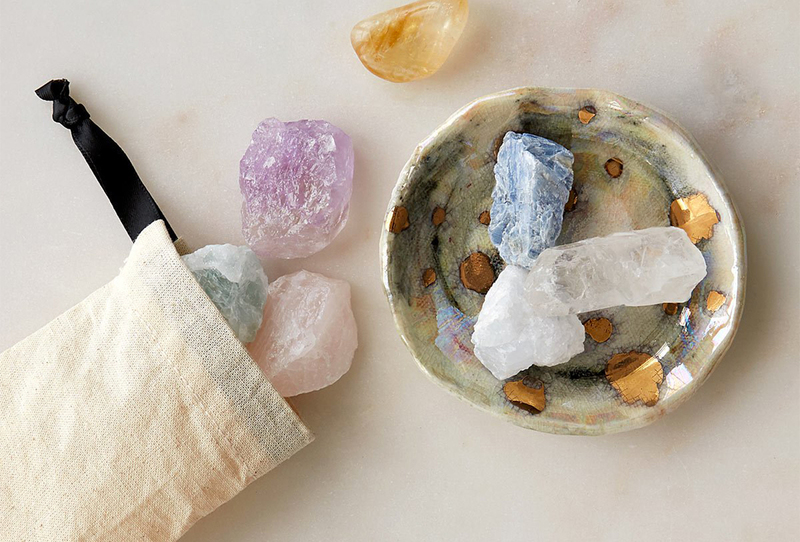 These links remind her to take “right now, just be” breaks. 3. Tell her you’re her ever-loyal bestie. 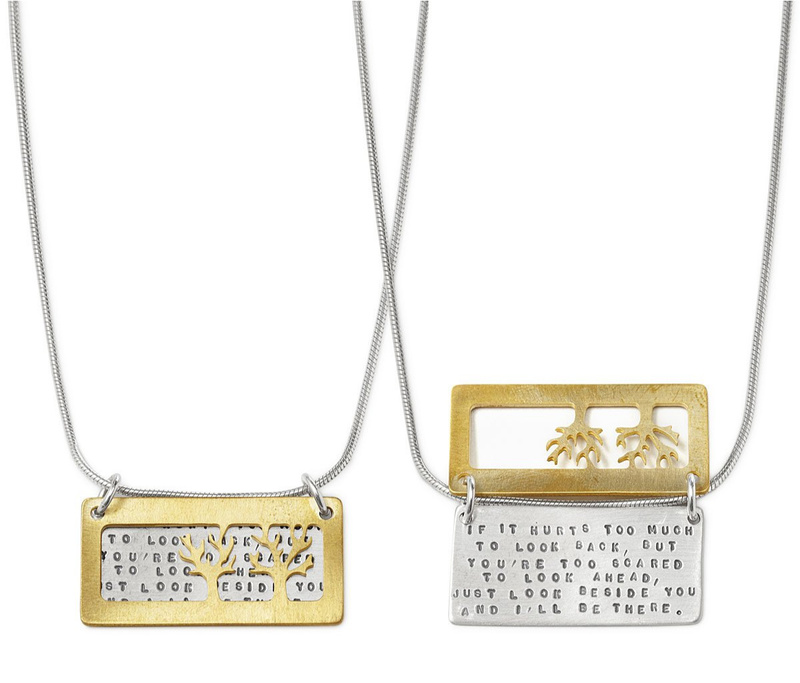 Two trees, two layers, two metals, and one heartfelt message of true friendship. 4. 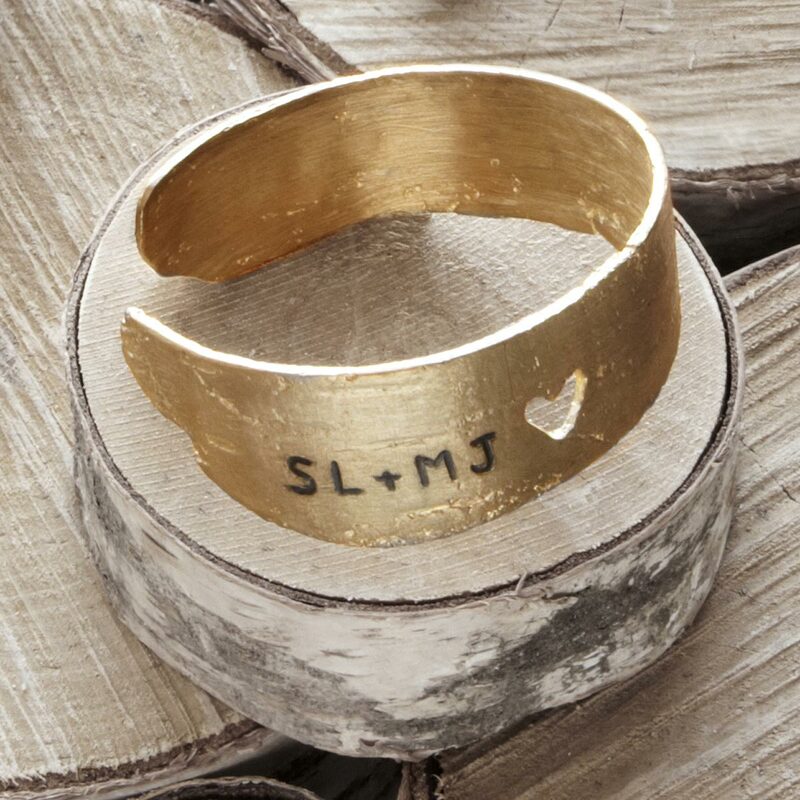 A brass “birch bark” bangle “carved” with your initials. As romantic as the real thing (and cast from real birch), it celebrates your love without harming an innocent tree. 5. A starry “sky” in their sun sign’s constellation. 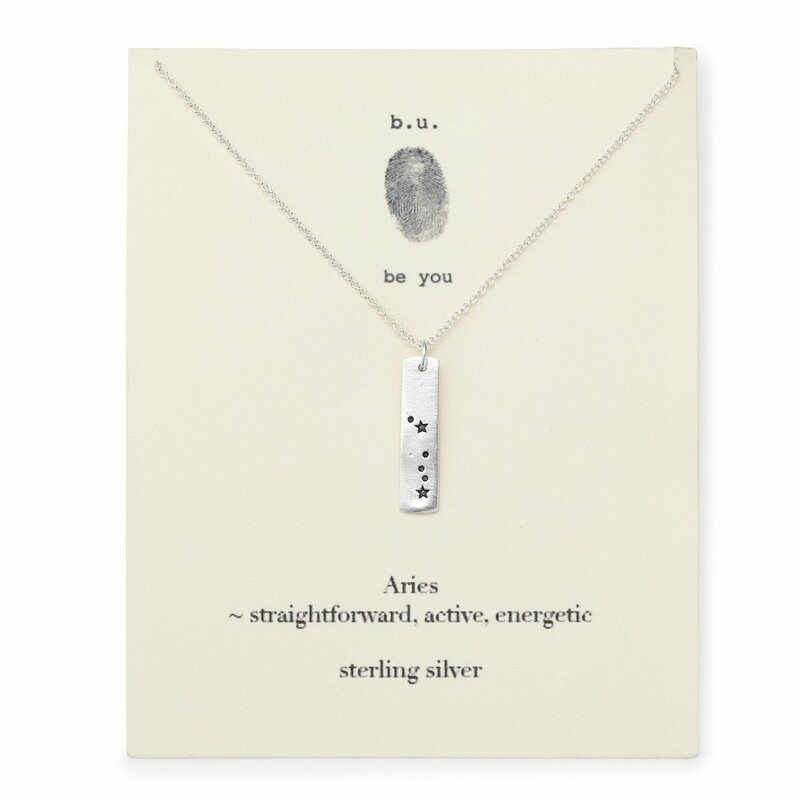 Whether she’s a practical Capricorn, an imaginative Pisces, or a magnetic Scorpio, tell her she’s your favorite constellation with this delicate silver pendant. 6. A pendant that carries balm to keep her pout pretty. 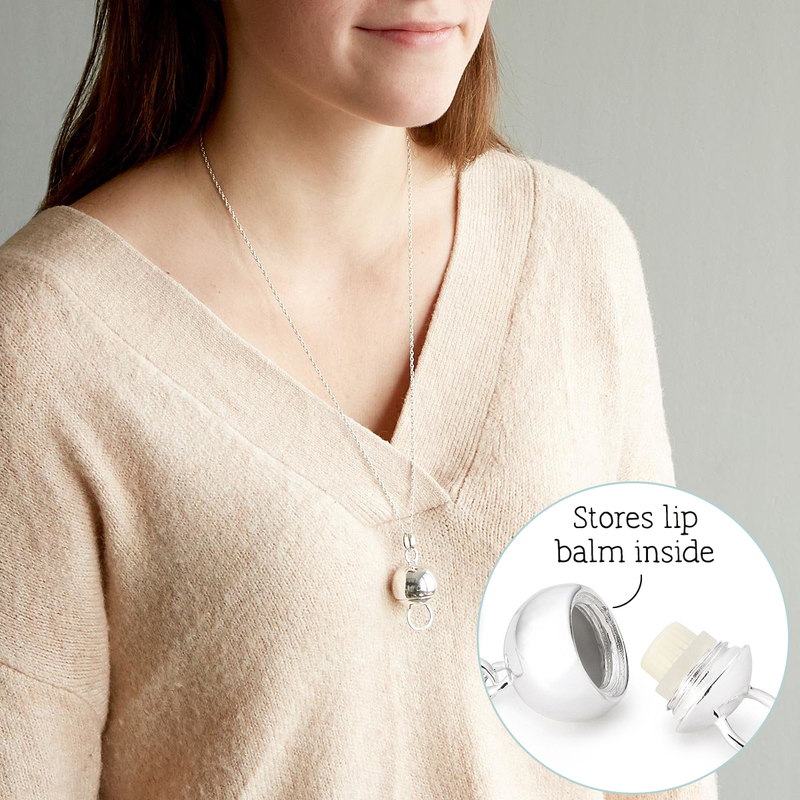 Made with kisses in mind, this ingenious pendant keeps her lips soft and luscious. 7. An attentive pup to listen to her thoughts. You’re pretty sure she loves you as much as the dog. That’s why you’re not too jealous to give her this ever-attentive pup to hear the thoughts you can’t be there for. 8. Pretty winged pals that perch on her fingers. She’s so amazing, people flock to her. But this lucky bird gets to stay—just like you. 9. Upcycled floral sari swatches that float on her wrist. She’s got way more than a snippet of boho adventurer. 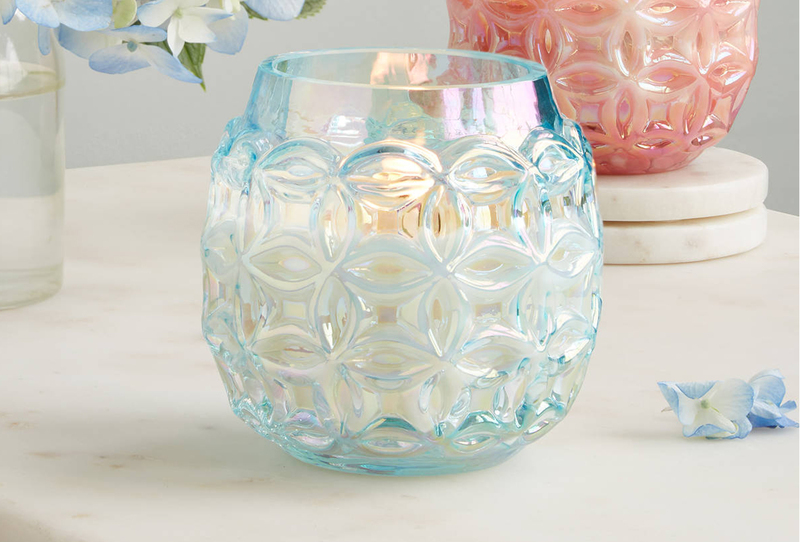 These swirling scraps of color say you love that about her. 10. Her favorite urban skyline, always on hand. The city where you met. Or fell in love. Or tied the knot. 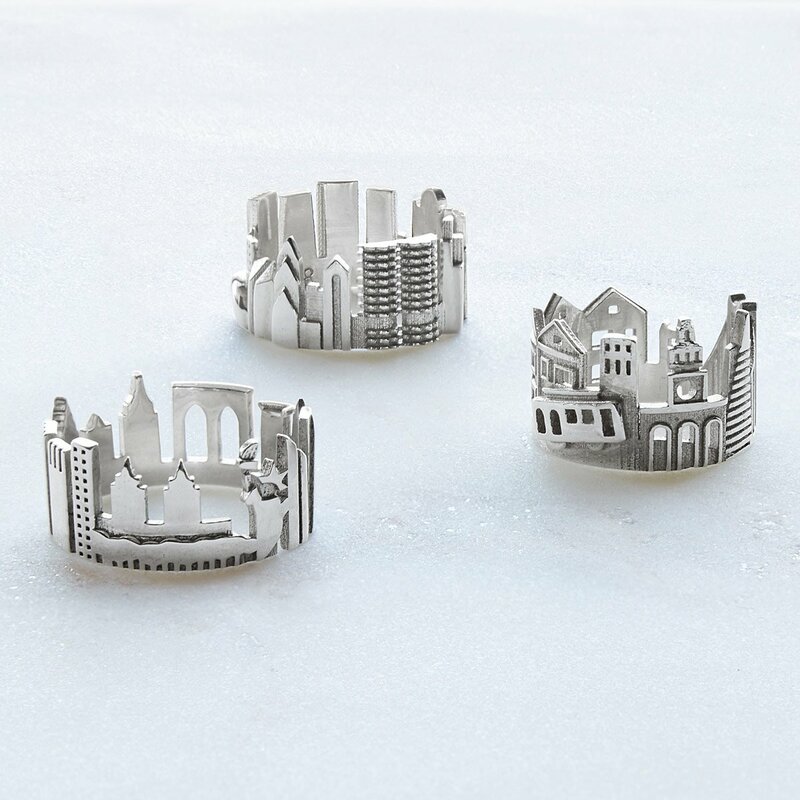 Give her a piece of that romantic real estate in miniature. 11. A tiny vault for wishes, to wear on her wrist. Her first wish was you, so she knows they come true. 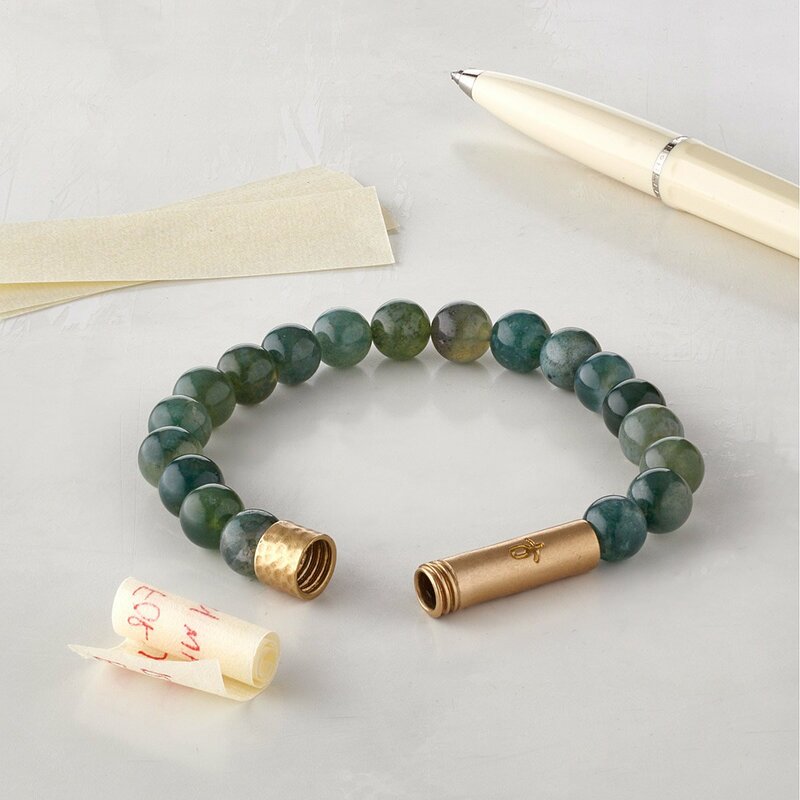 With this pretty beaded bracelet, she can keep that magic going. 12. Snips of story-filled saris to hang on her ears. She’s no wallflower. 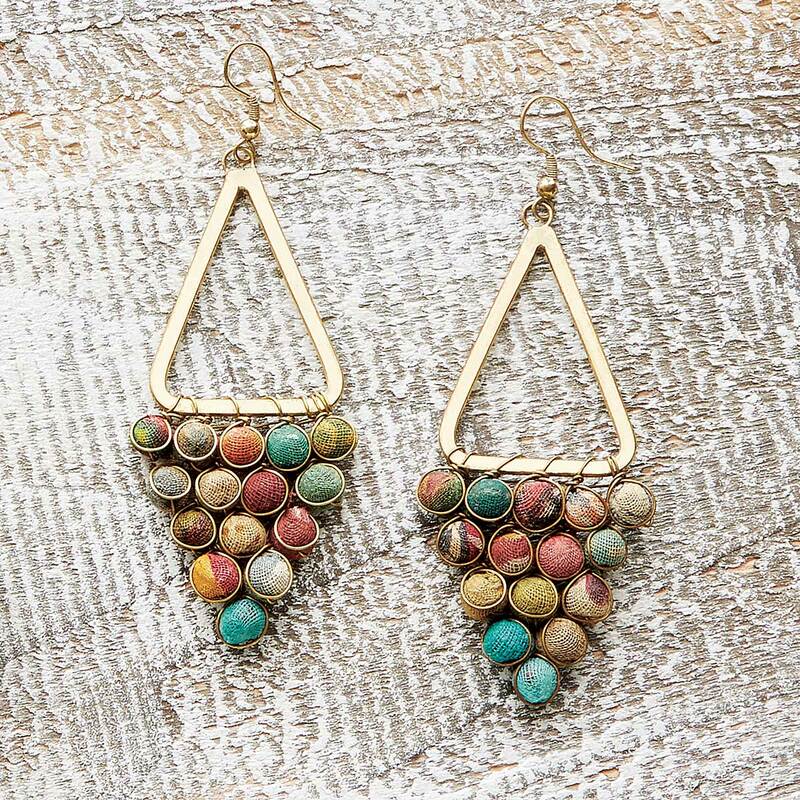 Celebrate her vivid presence with dangly earrings to match it. 13. 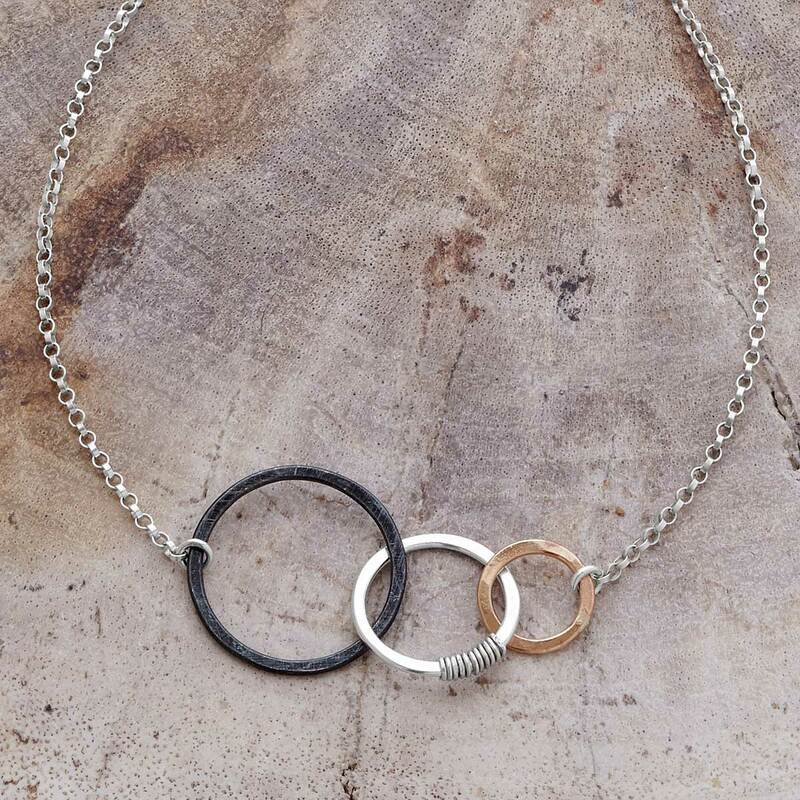 A necklace that’s ready to rev her up. 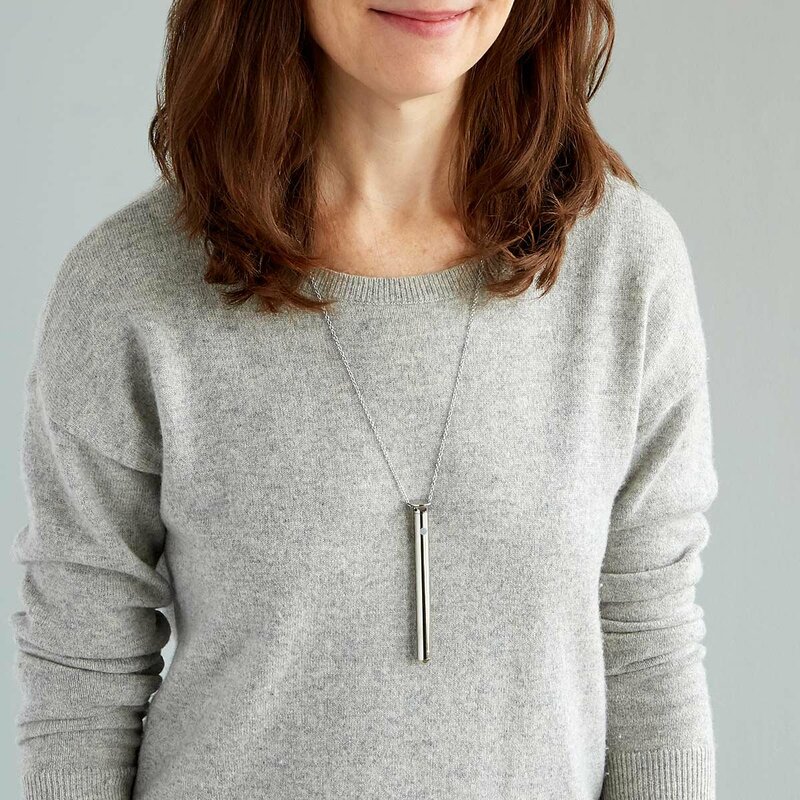 Lucky you: she’s passionate, and not afraid to show it. Lucky her: you knew she’d love this. 14. A heart made of trunkfuls of elephant love. 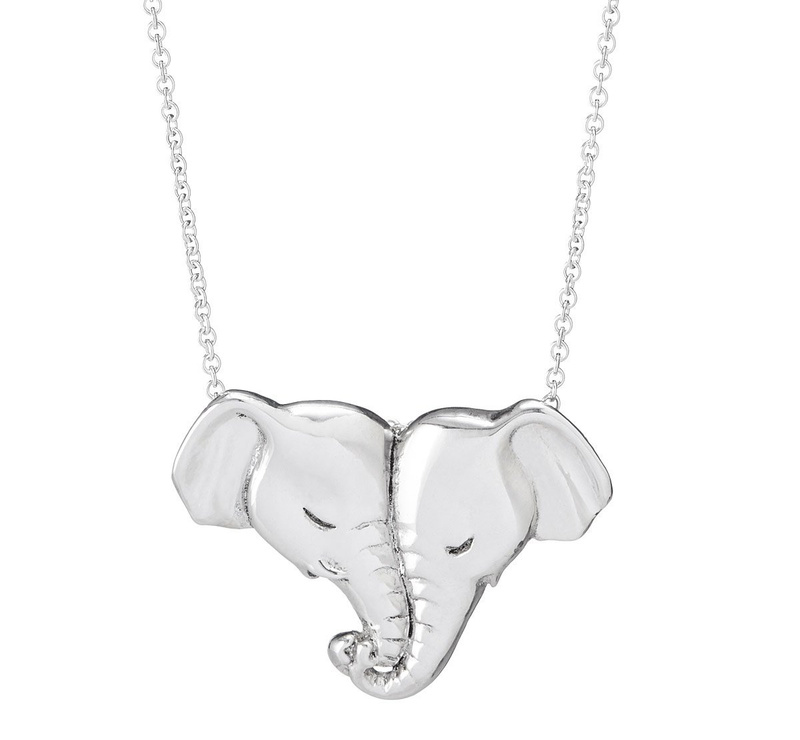 Show your super-sized sentiment with this silver heart pendant, formed from a couple of canoodling pachyderms. 15. A bit of her favorite beach, strung with sea-colored beads. 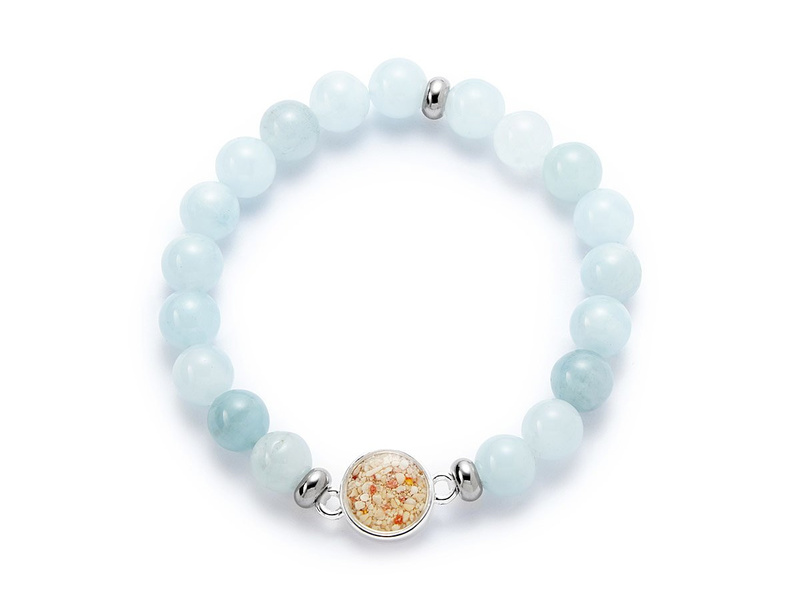 Give her this custom bracelet and she’ll carry the good vibes of that beach you both love wherever she goes. 16. Eye candy for her ears. She’s really sweet. 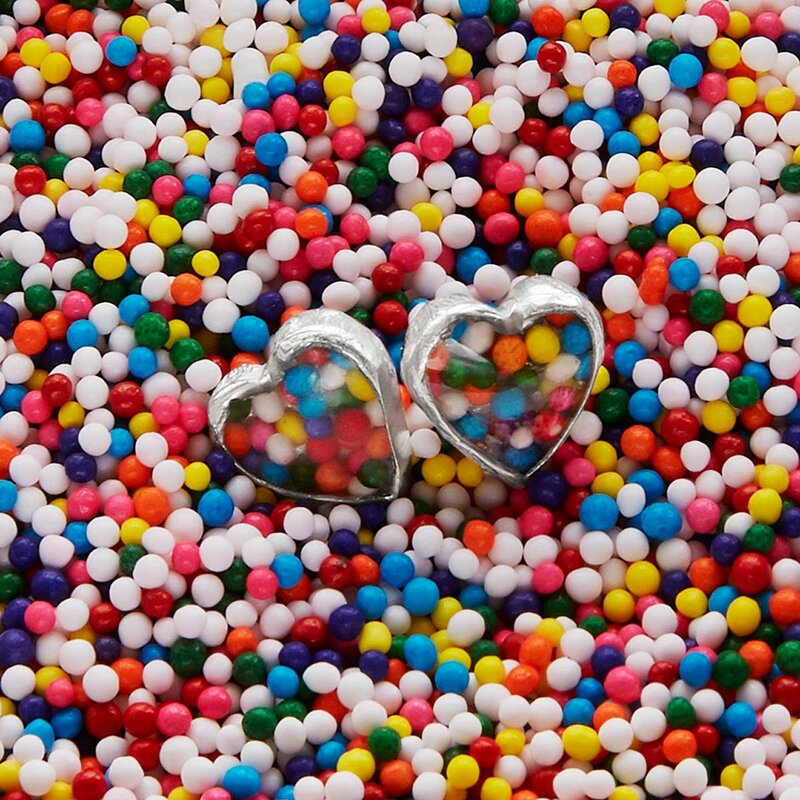 And these are real sweets: sprinkles, set in silver hearts. 17. So Mama can keep her love bugs close to her heart. 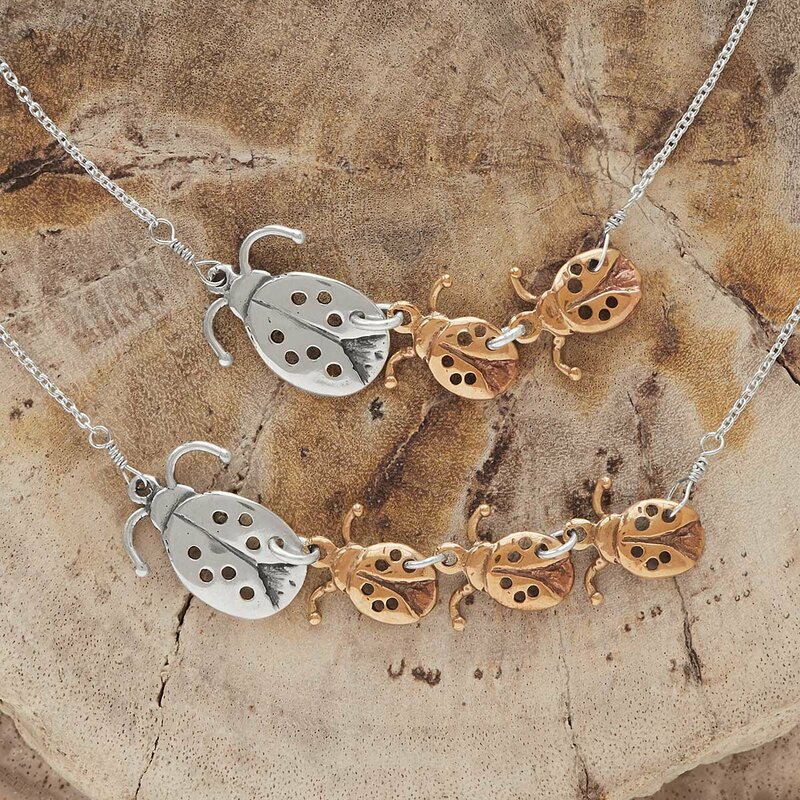 This adorably sweet piece will melt her heart, because the little love bugs (and you!) are the joys of her life. 18. Peek-a-boo hearts on hoops for her ears. Your love for her is no secret, but you don’t need show it off all the time. 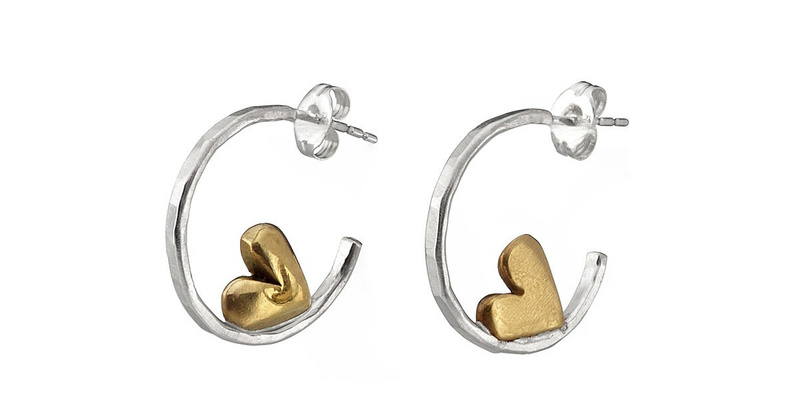 Just like these subtle bronze hearts snuggling in silver hoops. They’re hidden until she turns her head (to thank you, of course). 19. She’s “it” for you! This necklace reminds her, always. Love in a nutshell: I tag you, you tag me. With this silver arrow, you (and Cupid) can tag her good. 20. 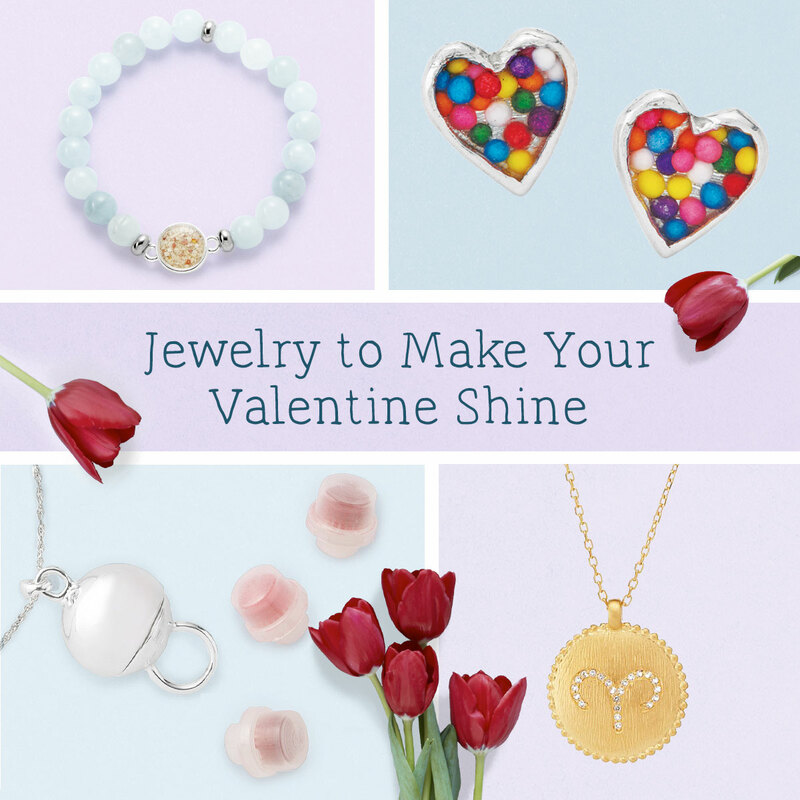 A sparkly modern take on the 12 astrology symbols. She’s into ancient astrology, but has up-to-the minute taste? 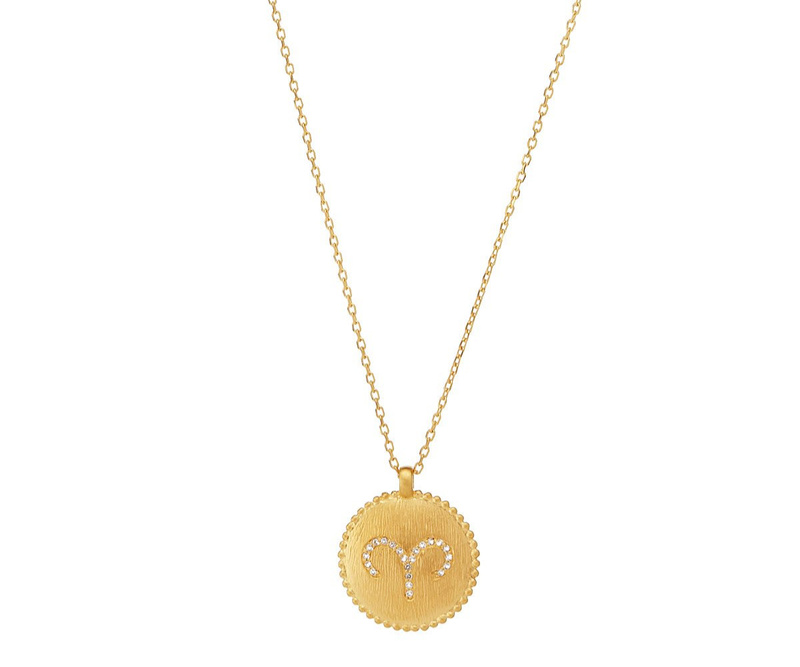 We bet you can see this modern, minimal zodiac pendant in her future. 21. 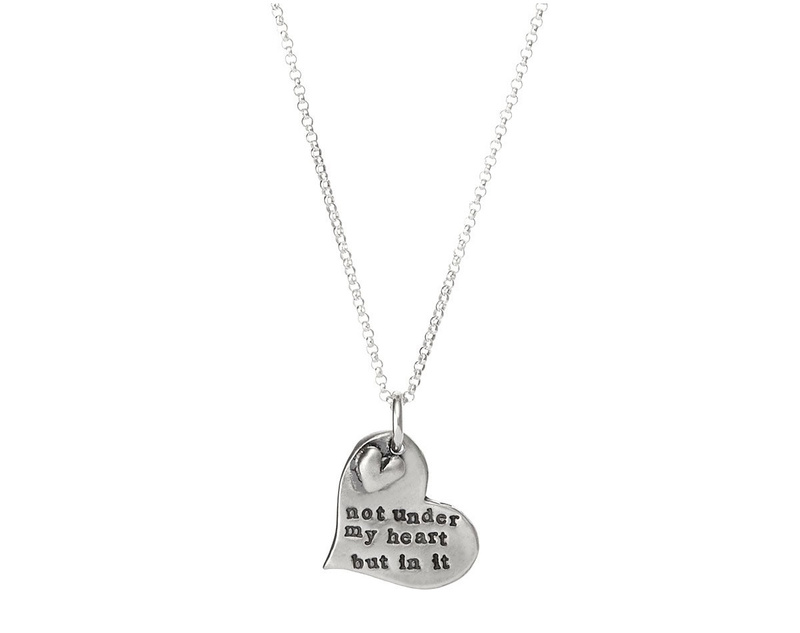 A sweet silver piece for adoptive mothers and their children. “Not under my heart, but in it,” it reads. That’s just how she feels. 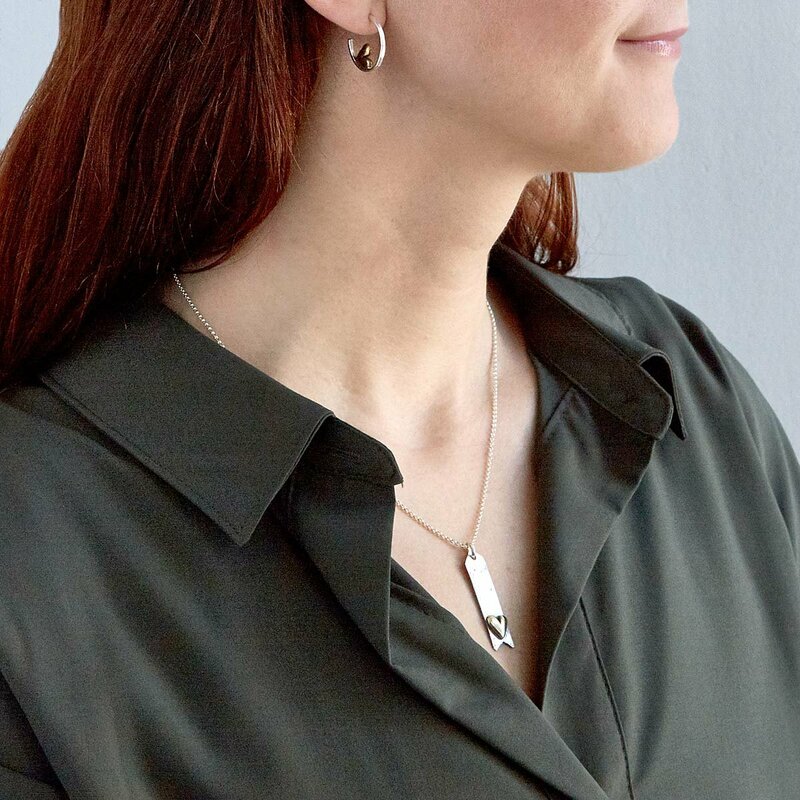 This necklace makes a hard-to-express sentiment simple, and her motherly pride visible.